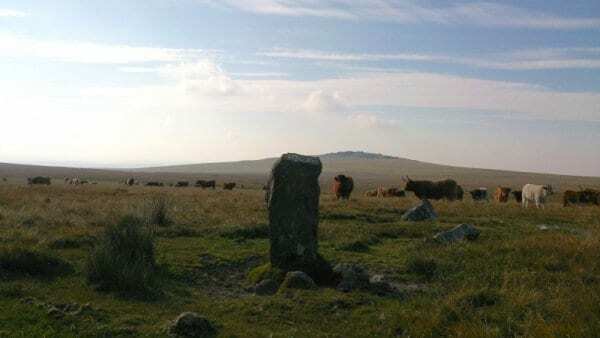 You will need to leave your car at the Pork Hill car park (SX531752) for the start of this short Dartmoor walk. We have never seen any pigs there but believe there were once – you can take some apple sauce just in case, if you want to. It is a large car park and we recommend parking at the Western end from where you can admire the views down to Plymouth and the Tamar Bridge. You may wish to do this from the warmth of your car as this can be a windy spot. Head back across the car park in an Easterly direction and continue walking parallel to the road for about 400 metres. You will see a leat (man made water course) in front of you (if you don’t see it, you will probably fall into it). Follow the leat along to the South – this is a very pleasant way to wander, not least because leats follow contour lines so the going is flat. Carry on for just under a kilometre and you will come to an ancient cross called Windy Post at the point where the leat forks. If you look carefully at the stonework around the leat, you will see the “bullseye” – this is a hole which allows a certain amount of water to flow down to the farms around Pew Tor. Take some time to climb up Feather Tor and have a look down on Vixen Tor. Vixen Tor is sadly private and haunted by a witch, it is probably best not to be tempted to go down and climb on that one. 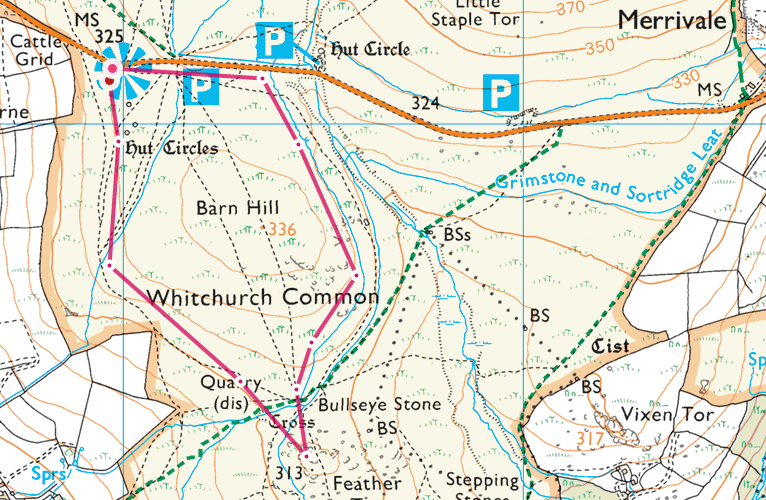 Once you have enjoyed your short Dartmoor walk and had your fill of Windy Post (SX534742) and Feather Tor, continue along the leat until you meet a footpath which will take you North for a kilometre and back up to your car.